Surf the Hooch! 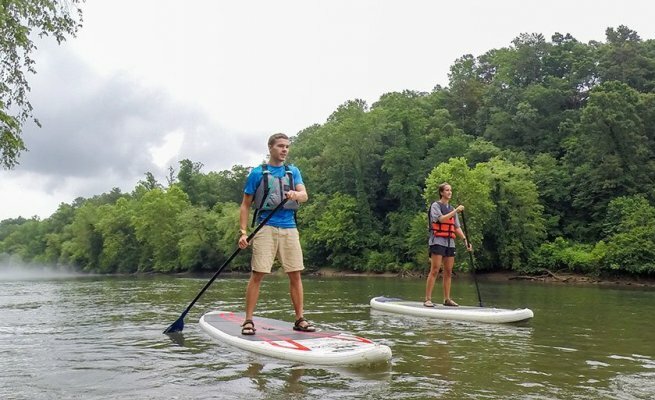 Walk on water with NOC’s Chattahoochee River stand-up-paddleboard rentals. 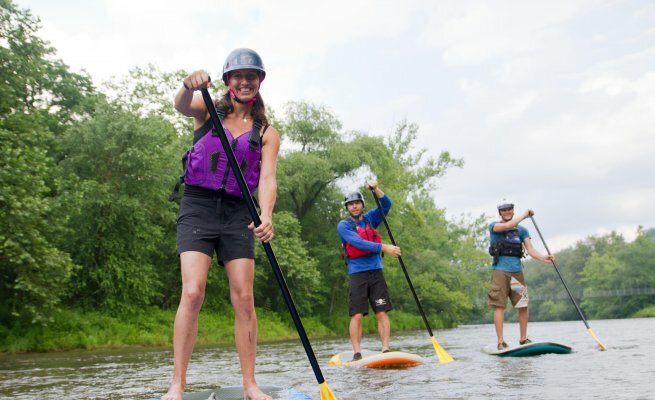 The SUP’s combined versatility and simplicity—basically a surfboard with a paddle—make it ideal for any number of river adventures: an intense water workout, a unique yoga retreat, or a relaxing journey. 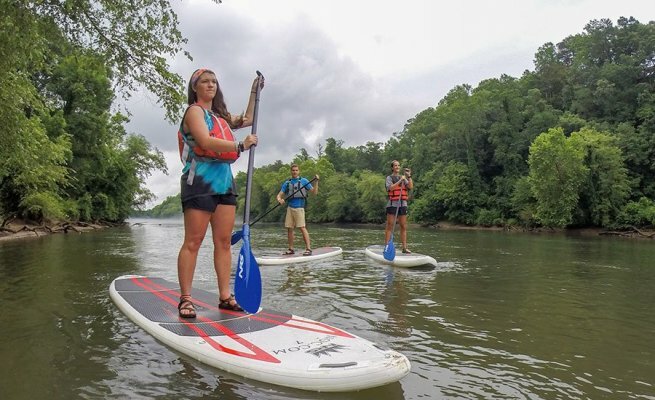 Great for Chattahoochee River veterans, the paddleboard provides a new challenge and a new river trip, requiring balance and precise paddling. 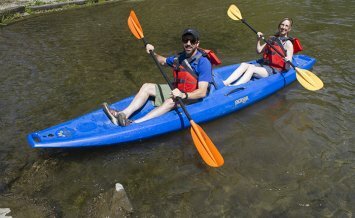 Rental includes stand-up-paddleboard, paddle, personal flotation device (PFD), and shuttle. NOC’s riverside Atlanta outposts are located in the Chattahoochee River National Recreation Area at Johnson Ferry. 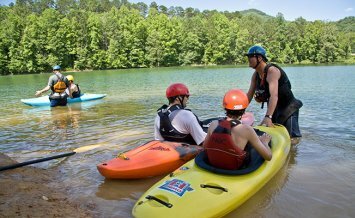 NOC’s Chattahoochee Outpost is hosted in the Chattahoochee River National Recreation Area (CRNA) by the National Park Service. With on-site river access and the only outfitter in CRNA, NOC offers guests a unique view of the Chattahoochee River. Outpost store with t-shirts, snacks, drinks, sunblock and other river essentials. On-site walking, running and biking trails. 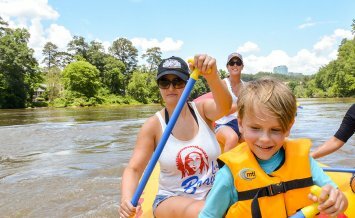 Located in the heart of Metro Atlanta, the Chattahoochee River is our most convient river experience. NOC's Chattahoochee River Oupost is located at Powers Island in Sandy Springs. From Downtown Atlanta: Take I-75N/I-85N. At the fork, stay right following signs for Marietta/Chattanooga. Take exit 258 for Cumberland Boulevard and turn right. At Interstate N. Parkway turn right. 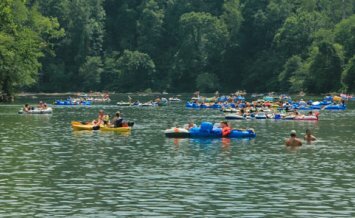 After crossing the Chattahoochee River, take the first left and enter the NOC Chattahoochee River Outpost parking area. From Norcross/West Atlanta: Take GA-141S/Peachtree Industrail Boulevard towards I-285. Take the I-285W exit towards Marietta/Chattanooga. After 8 miles, take exit 22 for New Northside Drive. Turn right onto New Northside Dr. and continue on Interstate N. Parkway/Riverside Lane NW. 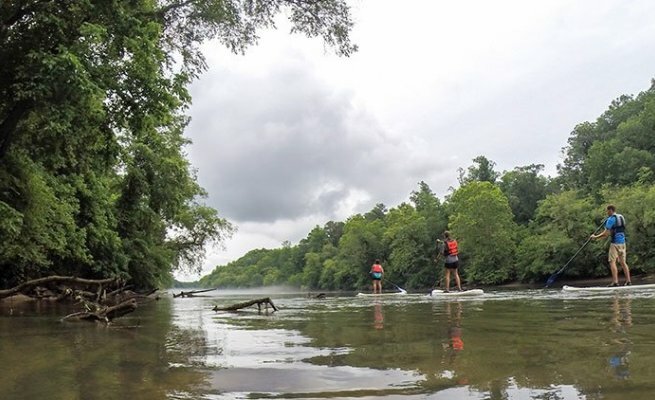 Take the last right before crossing the Chattahoochee River and enter the NOC Chattahoochee River Outpost parking area. From Marietta/NW Atlanta: Exit I-75 South at Windy Hill/Exit 260. Turn left on Windy Hill Rd. SE. After .8 miles, turn right on Powers Ferry Rd. SE. After 1 mile turn left on Interstate N. Parkway, cross the Chattahoochee River and take the first left into the NOC Chattahoochee River Outpost parking area. From the Atlanta International Airport: Take I-85N. After 11.2 miles keep right at the fork to continue onto I-75N following signs for Marietta/Chattanooga. After 7.3 miles take exit 258 for Cumberland Boulevard and turn right. At Interstate N. Parkway turn right. After crossing the Chattahoochee River, take the fist left and enter the NOC Chattahoochee River Outpost Parking area.